Marita Madeloni is a Sacramento-based photographer. Today there are two generations of Americans who don’t know how to cook. Processed food diets are a leading cause of rampant childhood obesity. 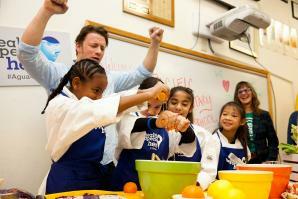 There is a clear need for increased cooking and nutrition education, or food literacy, in schools.